Thomas Vermaelen has been asked to return his Uefa Champions League winner’s medal. The Belgian defender left Arsenal for Barcelona last summer but only featured once for the Baulgranas this season due to injury. Reports in Belgiumcites Uefa statutes that players can not keep the medal if they have not featured in the competition. 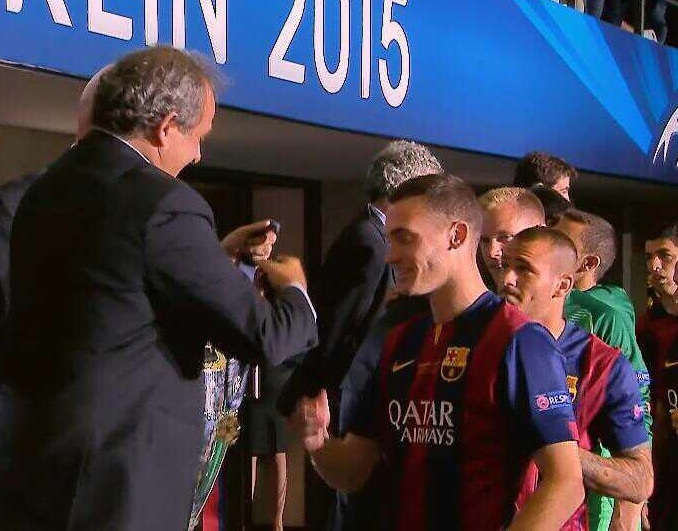 Thomas Vermaelen Told to Return Champions League Winner’s Medal. Image: SkySport TV. Former Chelsea keeper Ross Turnbull won a Champions League medal with the Blues, despite not making an appearance in the competition. Glo Premier League Week 30: Enyimba Downs Lobi as Violence Ends Sunshine-Shooting Stars Tie. Gombe, Set for the 2013 NOC’s AGM. Air-Conditioned Stadiums? No! Blatter Advocates 2022 Winter World Cup. Tsonga Opts Out of the US Open. Beckham First Considered Retirement the Moment Messi Whizzed Past Him in the Champions League Quarter- Finals. Ekpo, Beaten By WBO Super Middleweight Champion Stieglitz in Germany. Next articleOver 40 RWIN Lucky Winners And Counting! You Could Be The Next Person To Win N250,000!